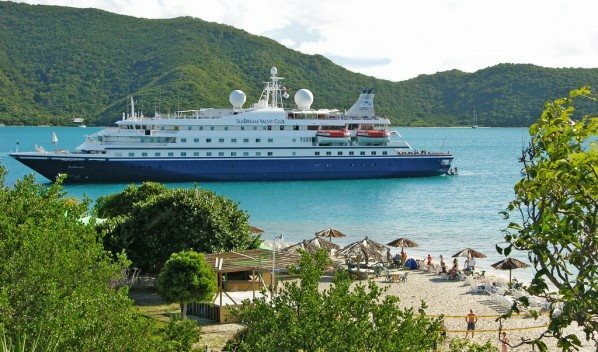 SeaDream Yacht Club is an innovative yachting company that operates the twin mega yachts SeaDream I and SeaDream II. Sail with a maximum of only 112 guests who enjoy award-winning service from a crew of 95 and discover just how different it is from big ship cruising. Elegant, casual, active: these are words not often seen together unless you are aboard a SeaDream yacht. You can be as active as you wish in casually elegant surroundings. Nice is undoubtedly the place for the opening up of art and culture. The Côte d'Azur has inspired, from time immemorial, the greatest painters, writers and musicians. It has compelled recognition of its avant-garde across the Atlantic, its museums are holding prestigious collections in edifices of renowned architecture. Nice is full of an extraordinary artistic and cultural heritage. The gentle way of life sustains the imaginary world of artists and stimulates their creativeness. A cultural and aesthetic atmosphere prevails here; the cultural life is intense. It is punctuated by temporary exhibitions in the museums and the municipal galleries, by the programming of the theatres of which the most important is the Theatre of Nice - National Dramatic Centre - directed by Jacques Weber. The Opera House of Nice's Theatre proposes events of great quality. One visit to this sun-kissed stretch of the French Riviera is enough to explain why stars of the silver screen chose Cannes to host the world's most important film festival. The palm-fringed coastal boulevard hugs the curve of the beach, and is lined with luxury hotels and casinos. With Aérospatiale and Sophia-Antipolis, the leading European technical park, the future is being built here and experienced daily. Thanks to the International Film Festival, which each year attracts stars from all round the world, Cannes is the best known French town after Paris. Prestige and international expertise function together to meet business and leisure travel requirements which represent the major economic activity in Cannes. In the heart of this site of great natural beauty stands the 'Palais des Festivals' Congress Centre, equipped with all ultra-modern facilities, which has enabled Cannes to become one of the world's most important conference towns in the world. Corsica's picturesque southernmost town Bonifacio gazes across the blue Mediterranean to Sardinia. In its narrow cobbled alleys lingers a strangely medieval mood and the ancient stone houses of the fortress-like, once much-besieged community cling to one of the island's most striking sites - a towering promontory of sheer limestone rock jutting out improbably into the sea 200ft below. Founded about AD 828 as a defence against pirates, the town was taken from Pisa at the end of the 12th century by the Genoese and remained under the influence of Genoa until modern times. The small gem of a city Porto Ercole is anchored in Monte Argentario peninsula and enveloped by a blanket of beautiful sand and rock beaches. Porto Ercole is a perfect getaway spot for those interested in traveling to nearby towns and historic sites for touring or art visits. From here, Siena, Tarquinia, San Gimignano (to name only a few of Porto Ercole's neighbors) lie nearby. The highlights contained inside the town walls include the 16th century Palazzo Consani, located in Piazza Santa Barbara, and the old parish church of San Erasmo, which continues to offer sacred protection to sailors. The whole city is dominated by a fortress (la Rocca), which looms over the port and bay and which was architecturally designed by Giovanni Camerini. Two other forts erected in Porto Ercole are Fort Stella and Fort Filippo. Fort Stella dominates a large area located at the back of the port, and is named for its geometrical form of a star (which houses a hexagonal interior courtyard). Fort Filippo is a formidable structure originally built with the best military architecture of its time. Fares are per person, based on double occupancy. Government, port, document issuance, handling & service fees, transfers and airfare (unless otherwise stated) are additional for all guests.